If you’re a mid-to-high level player and you’re training Slayer, there’s a high chance you’ll get assigned to fight Hellhounds OSRS. As the name suggests, the Hellhounds are demons, however an important thing to be noted about them is demonbane weapons don’t work against them. Another difference between them and regular demons is they don’t drop ashes but bones. Fighting hellhounds is a good way to provide hard clue scrolls for yourself because they have the best drop rate for them. For those of you who don’t know what that is – it’s the start of a Treasure Trail which sends you on a fun adventure all around RuneScape. The best route for making money out of fighting Hellhounds OSRS is to go to Vet’ion because his Hellhound spawns are counted towards the task you have and you get great drops from the boss. Cerberus OSRS is also a good way to go. How to fight Hellhounds OSRS? Hellhounds have a combat level of 122 and judging by this, they’re not the easiest demons to fight. However, that level reflects mostly their accurate and powerful attacks, while in fact they have pretty low defensive stats. It’s best for players who don’t have a high Defence level to wear their best armour as well as food that heals well. Hellhounds only attack with Melee so it’s a great idea to use the Protect from Melee prayer which will nullify their attacks. If you want to be effective yet stay as afk as possible, go to the Catacombs of Kourend. If you have completed some tasks from the Ardougne Diary, you can teleport to Kandarin Monastery and recharge your Prayer points. Then you come back with Xeric’s talisman if you have completed the Architectural Alliance or by using the Kourend Castle Teleport spell unlocking which requires 69 Magic and reading Transportation incantations. Prayer-boosting armour is a must too, especially on longer trips. Another way to restore some Prayer points is to bring a bonecrusher with you and bury some bones inside the Catacombs. If you brought a lot of food and don’t insist on the afk part so much, prayer flicking can prove to be beneficial when fighting Hellhounds OSRS. If you’re fighting Hellhounds OSRS for the hard clue scrolls, it’s recommended to wear a ring of wealth (i) because it doubles the drop rate, and to go east of the Deserted Keep. Hellhounds OSRS are weak to slash attacks except for the Hellhounds in God Wars Dungeon that are weak against water spells. Blow pipe gets you really good and fast xp against Hellhounds OSRS, setting a cannon on a safe spot is a good idea too. 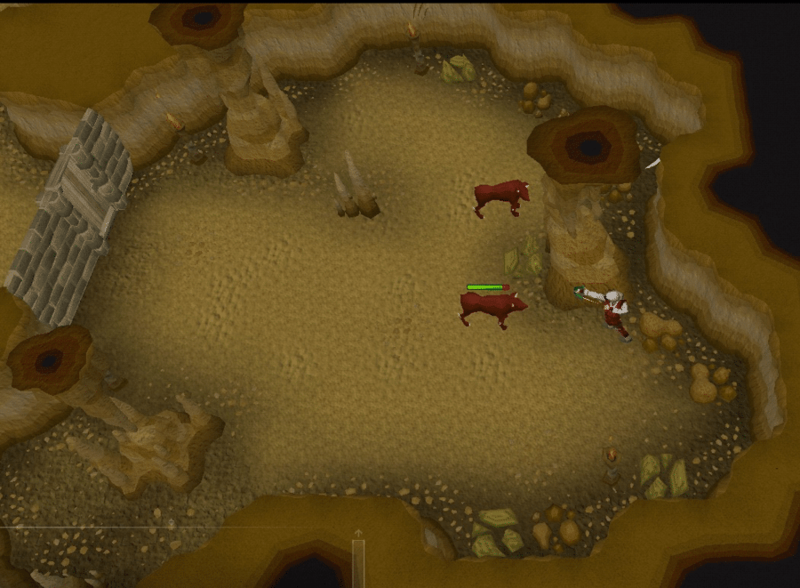 A good place to safe spot with a cannon are the Revenant caves but you’re in the wilderness, so you need to pay attention. If you want to speed up the task and you’re already bored with it, you can buy OSRS gold and get Expeditious Bracelets from G.E. They get you a 25% chance that a creature you killed would be counted as two on a Slayer task; however, they don’t give you additional xp. You only have to wear them when you’re landing the final blow. They have limited charges but you don’t need many for a single task. For those who actually happen to enjoy slaying Hellhounds OSRS, there is the Bracelet of Slaugher which serves pretty much the opposite purpose – you have a 25% chance to have a creature you killed not count. This means you can prolong a task you enjoy doing. This entry was posted in How-To Tips & Tricks, Latest OSRS News, Old School RuneScape, OSRS Mobile App and tagged hell hounds osrs, hellhounds osrs, hellhounds osrs slayer, osrs hell hounds, osrs hellhounds, osrs hellhounds safe spot, osrs hellhounds task, OSRS Mobile, osrs money making, osrs money making 2019. Bookmark the permalink.